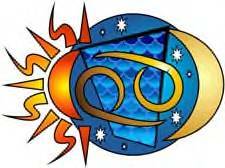 As the summer months begin to appear on the horizon, a Partial Solar Eclipse is the beginning of three eclipses in a row on June 1st 2011 at 2:02 p.m. PDT at 11 Gemini 02, brings its enchantments, myths, and legends to the forefront of our thoughts. 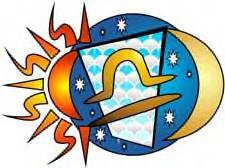 The ancients considered the eclipses as omens of evil and tribulations as the lights, the Sun or the Moon, are hidden for a short period of time from view. 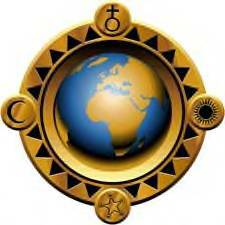 In our modern times these superstitions seem passé, except for the fact the earth seems to be rebelling with earthquakes and weather patterns going berserk around the globe causing havoc and destruction in its path, with the awaking of social and political unrest happening everywhere, at the same time. The diversity of discontents and upheavals is causing the reawakening of the subtle implications that the Universe is trying to tell us something, is in the air. With so many voices pronouncing that the end of the world is imminent, and the visual and physical evidence that seems to be happening, our subconscious and inner soul is seeking answers and signs, to bring comfort to the uncertain feelings that abound. The partial eclipse is trine Saturn in opposition to Uranus square Pluto, and a stellium of planets which include Mercury, Venus and Mars in Taurus is echoing and resounding that spontaneity and improvisation at the moment leads to discoveries and inspirations. Spontaneity indicates that we are living and making decisions with quick mental and emotional reactions, and we are made accountable for our actions and the outcome of our choices. In the blink of an eyelid, to make the decision to live the moment and to see the implications of that action and to know it will lead to new avenues of inspirations and discoveries in our next turn, on the road of life. The Solar Eclipse is giving us a wakeup call and telling and commanding us to realize that this period in our evolution is a turning point in which we must take serious steps, and to make it happen. With Saturn in opposition to Uranus, change is not the only keyword, but versatility, adaptability, improvisation, and our need to be spontaneous with wisdom and judgment (Jupiter trine the North Node). To know also that everything beneficial or malefic placed in our path is for a purpose, and with wisdom and discernment, we will make the right choices for progress. 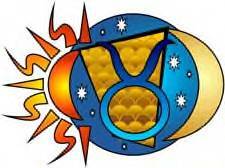 “The Sabian symbol for the 12th degree of Gemini is taken from “The Sabian Symbols in Astrology by Marc Edmund Jones”, and what follows are my comments. Gemini 12 A Topsy saucily asserting herself This is symbol of the balance which every individual must maintain between the compulsions of the social milieu on which his wellbeing depends and the necessity that he exercise his fledgling wings on every possible occasion. Like the slave girl trying the patience of her mistress as far as she dares, man must speak out to life with an almost spiritual impudence in order to have any character at all. Personality here is refined as it risks its very being to be what it as yet has still to become. The keyword is growth. When positive, the degree is a high gift for taking personal advantage of every new situation in experience, and when negative, a joy in pure dissatisfaction. This Sabian symbol is reminding us to take a stand to assert ourselves to gain the confidence, in order to grow into the person we want to become. Growth takes time and experience which requires trials and errors to decide how far we can go, and what works for us. Although we may not wish to go through the trials and tribulations that life has in store for us, the experience and the effort we put into it, is what gives us the character that defines each of us as individuals. It is being spontaneous of any situation that we become aware that this is the moment that brings about new discoveries and inspirations to where we need to be. It is being responsible for our spontaneous actions that wisdom and discernment comes into play, and that gives us the confidence to live our own lives to the fullest every moment of the day. This Partial Gemini Solar Eclipse is giving us the magical energy to help us to be more spontaneous and adventuresome to discover the inspirations we need to overcome whatever is ahead of us in the coming months. Our duty to the Universe is to accept the gift in gratitude and to work with it to the best of our abilities.